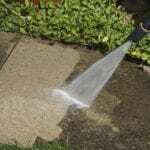 Carpet steam cleaning, also called the hot water extraction method, is very effective at removing stains. Carpeting is one of the most common types of flooring used in residential properties. Carpet adds warmth and softness to any room of the home, especially the bedrooms and living areas. However, over time, your carpet may start to look stained, dingy, and less appealing. 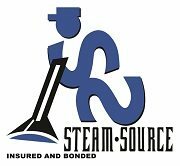 Dirty carpet is a common problem that many homeowners face, but our team at Steam Source is here to resolve that issue. We offer carpet steam cleaning services in Kernersville, North Carolina. 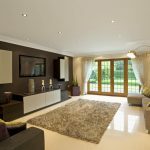 During the carpet steam cleaning treatment, we can remove unsightly stains and bring new life to your carpets at a fraction of what you’d have to pay to replace the material. Carpet steam cleaning, also called the hot water extraction method, is very effective at removing stains. We start by bringing our truck to your property, where hot water is mixed with our safe cleaning solution. 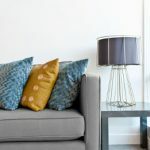 Our technicians will move any furniture pieces out of the way, as long as it is able to be moved by two men, and then inject the solution deep into your carpets. Within the fibers, the solution will break apart the dirt and grime. The vacuum extractor removes the dirt, hot water, and cleaning solution from the carpets, where it is stored in our truck’s holding tank. The power of the extractor will remove up to 95% of the moisture, which means your carpets will dry faster. The final step is placing the furniture back in its position, often on top of plastic discs or foam blocks to keep it protected until the carpet fully dries. Through these steps, we are able to provide you with clean, sanitized carpeting that will look and smell fresh.